Working with babies must be so easy. All play and no work right? Think again, because while it sure is fun, you’ve really got to know your stuff. That’s according to French physiotherapist Elodie Poissenot anyway. She’s a four year veteran of working as a women’s health physio specialising currently with young babies and their mother at Mummy’s Physio and BabyPhysio in London. Having graduated from Besançon University in 2010 with a degree in Physiotherapy it was out with the old and in with the new for Elodie and she hopped on a ferry to join us lot in the UK. She says there’s nothing more fulfilling than helping a newborn child and their loving parent get over an obstacle they couldn’t have without her help. But there’s a lot more too it than a few stretches and exercises. We caught up with her to find out what makes the job tick. 1. How did you know you wanted to be a physio? I used to swim a lot when I was a teenager and I saw a physio many times for my injuries. He was young and fun, and I realised this job was more passion than work. However, I wanted to be useful and have a job where I could travel and help people all around the world. As a Physio, there are many humanitarian projects where I am needed. It was exactly what I wanted to do for the rest of my life! I started with Locum Pysiotherapy in France for four years. I really wanted to try different privates practices, different places, and different ways to work. At the time, I didn’t know I would specialise as a women’s health physiotherapist. I traveled all around France and then I realised I wanted to travel further. So I came to London! The end of university when I decided to travel all around France to discover different ways to practice. If I had stayed in my city, I would be a very different physio now. I work for Mummy’s Physio and every day is different, that’s why I love the job! Depending on the day, I can do home visits or I can work at the clinic in Victoria. Generally I see between six and seven patients a day. I spend one hour with each and then I hop on the Underground to see my next patient. Sometimes I do women’s health physiotherapy with a mother who just has just given birth and has pelvic floor, abdominal, pain issues. Sometimes I see pregnant women with really bad pain or who just want to know how to prepare to give birth. And sometimes I do pediatric physiotherapy and then I see babies with neurological, orthopaedic or chest issues. I love to hear my patients say “I felt much better after I started to see you”. When I hear that, I know I’ve done a good job, which I love. I also love to exchange ideas with different practicians (doctors, posturologues, other physios, gynaecologists, midwives, paediatricians etc) about my patients and their issues. Sometimes one of us doesn’t see something but it’s evident for the other. It’s amazing to see how important it is to discuss our work. It’s hard because sometimes you feel helpless. I work for Babyphysio as a paediatric physiotherapist and we see a lot of sick children. For example, it is very difficult to see sick babies or a baby with cerebral palsy. It’s impossible not to feel strongly about certain patients. They don’t realise that it is not a job but a passion. So I can spend three days off to read a book about physiotherapy or do training and I love that. You need to love people and to love to help people; otherwise it will be a nightmare. Don’t think too much, try and you’ll see what works or not! Enjoy yourself! University is the best part of life! Don’t think too much about the future. I’d love to go on a long humanitarian project and when I come back (if I come back), I’d like to open a women’s health practice (with a free clinic if I stay In London). 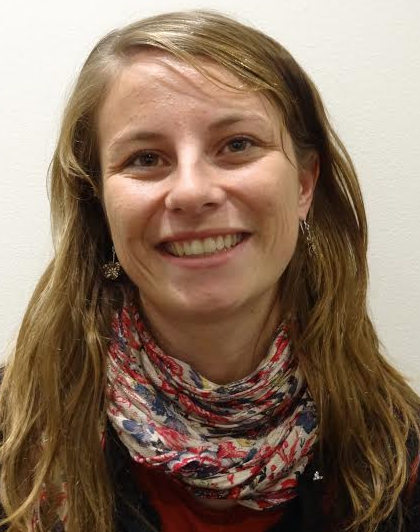 Elodie Poissenot is currently working as a physiotherapist for Mummy’s Physio and BabyPhysio. Check out their respective Facebook pages here and here.